The Vancouver Summer Program (VSP) is a four-week academic program offered at the University of British Columbia, Canada for cohorts of international students to study at the University of British Columbia. The program provides the opportunity for cooperating universities to organize groups of students to take two academic courses in various UBC Faculties while learning about Canadian practices and culture. This year, three members of the Weinberg Laboratory (Dr. Charlis Raineki, Tamara Bodnar, and Parker Holman) organized and delivered an “Anatomical Sciences” course. Morning classes focused on gross anatomy (Principles of Body Structure and Function) and afternoon sessions covered neuroanatomical topics (Applied Neuroanatomy). 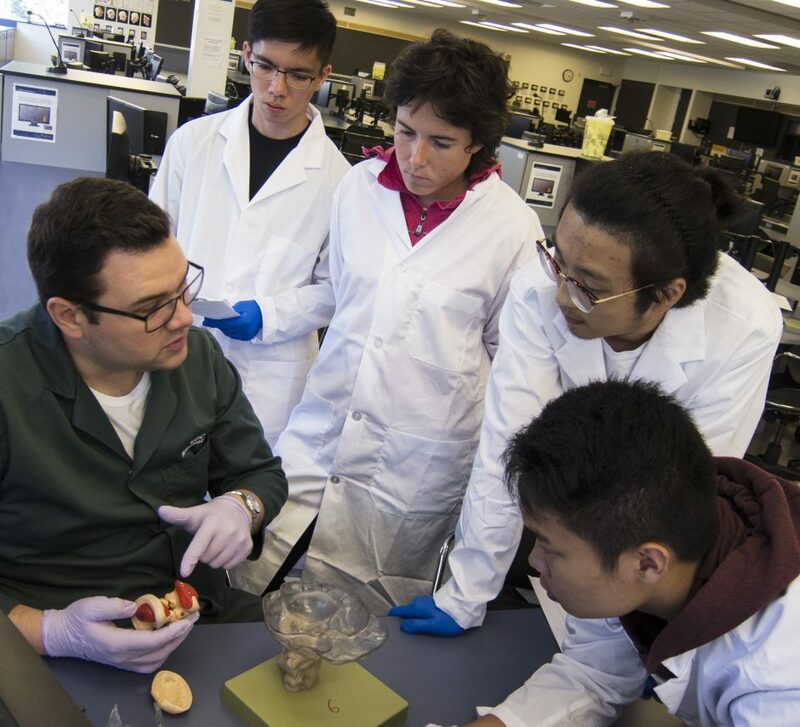 23 international students from universities in China, Hong Kong, Scotland, and Spain also had the opportunity to examine prosections of the human body and brain during several laboratory sessions at the Life Science Centre at UBC. Check out UBC’s press release regarding this year’s courses as part of VSP.